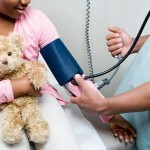 RATES OF HYPERTENSION IN US KIDS IS SOARING… CAN WE TALK ABOUT THAT? This is a massive finding people. Heart disease, high cholesterol, diabetes and hypertension were historically reserved for de-conditioned adults with genetic predispositions chomping away on a standard North American Diet (SAD diet). The report was published online June 18, 2012 in the journal, Hypertension. In the published findings they cited that pediatric hypertension-related hospitalizations nationwide nearly doubled, from 12 661 in 1997 to 24 602 in 2006. Charges for inpatient care for hypertensive children increased by 50%, to an estimated $3.1 billion over the 10 years. All economics aside, kids are suffering. This is the first generation EVER, that is predicted to not live longer life-spans than their parents. What will it take for us, the adults, to step up to the plate and demand better? Something better means education around food consumption, something better means less availability to processed foods, something better means we teach kids to value our health, not simply pop a pill to make the symptom; the eczema, the headache or the hypertension go away. Step up my adult colleagues, challenge yourself to squeeze a few more minutes our of your day to prepare some real food, play with your kids outdoors and talk to the little people in your life about their most valuable asset, their health.